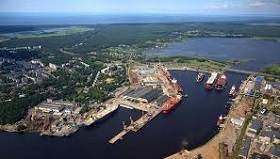 The Riga City Vidzeme District Court decided this week to initiate legal protection proceedings for Rigas Kugu Buvetava (Rigas KB) shipyard, the company said in a statement to Nasdaq Riga on Friday. On Thursday, March 21, the Rigas KB board of directors received a decision of the Riga City Vidzeme District Court dated March 20, 2019, whereby the court resolved to initiate the legal protection proceedings of Rigas KB. According to the court’s ruling, Rigas KB has been given until May 20h, 2019 to develop and agree with its creditors a plan of legal protection measures. On the next day after its adoption the plan has to be filed with the court. As reported, former Rigas KB employee Oksana Klimenko on January 31, 2019, submitted an application to the court regarding to insolvency proceedings against Rigas KB for unpaid wage in timely manner. The court accepted the application on February 19 and launched an insolvency case. This week, Rigas KB said it had paid off its debt to Klimenko. As reported, last year the court rejected the application for legal protection process submitted by Rigas KB. Rigas Kugu Buvetava's audited turnover in 2017 amounted to EUR 12.853 million, 38.1 percent down from 2016, and the company posted EUR 308,216 in losses as compared to a profitable 2016.